Why invest? There’s a shortage of RV & Boat Storage Businesses Nationwide! Invest in a Covered RV & Boat Storage business today! Owning a “Solar” Covered RV & Boat Storage can be a year around profitable business! Two  key factors to building a profitable “solar” covered RV & boat storage business. Number one  is partnering with a solid experience installation contractor who has built hundreds of solar and non-solar covered RV & boat storage businesses across the United States and has been in the industry for more than 30 years. Number two  is partnering with an actual owner of a solar covered RV & boat storage business, the value of choosing a veteran installer who is also an owner is the expertise they will provide during all phases of construction. From the preliminary development to the design layout of the sites recreational vehicle rental parking spaces and canopies to assure orientation of the PV’s [modules] will provide optimal performance and production. Why invest? There's a shortage of RV & boat storage businesses! There’s a growing demand for RV & boat storage nationwide and into Canada! With increases in new HOA developments, comes strict rules in recreational vehicle parking on those properties. New home construction developments have little to no side yard or backyard large enough for a shed, let alone an RV or boat. Additionally, more towns and cities are discouraging recreational vehicle parking on streets and sides of homes. Some are even restricting parking altogether! As a result, there is a high demand for RV & boat storage businesses and a shortage of businesses supplying recreational vehicle parking. Adding to the demand is homeowners are increasingly deciding to downsize, whether that is to a smaller house, condo or apartment [according to research from real estate site Trulia]. Theses downsizers are not willing nor wanting to sell or give up their recreational toys. They are keeping their RV’s, boats, jet skis, and toy haulers! Downsizing allows these people to sock money away for trips and storage cost! These people are your new clients! Low operational cost and little maintenance! RV & boat storage facilities practically run themselves! 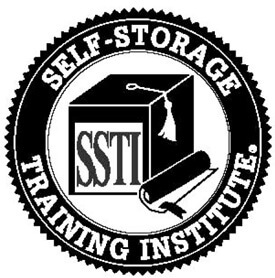 An office manager and a part-time person, and a go-to-handy-person for minor facility maintenance and clean-up are literary all the storage business needs to run. With a covered solar RV & Boat storage business, there are no moving parts – per-say except for the automated gate and a few rolling doors if the Owner chooses to have full enclosure units. The storage business can be a cashless and paperless business operation! Its website handles online monthly rental payments, round-the-clock access to the renters account balance and encourages paying ahead for those that rent year after year. By offering online tools, gives the customer a greater sense of control over their rental experience. 24-hour video monitoring is your watchdog. No need for security personnel. Investing in advance security technology and features are worth the extra expense! People like the peace of mind and will pay a premium rate to have it. There is no need for a day or night gate attendant; a 24-hour access key fob allows clients to come and go. The office manager is there mainly for customer convenience [and peace of mind]. Tenants like to interact and see a friendly face at the counter. He or she is there to answer questions, like how to winterize their RV or boat. They are there to give tours of the facility and its amenities and offer other services that the business may have as “extra” services; like motorhome wash, propane refill, and winterizing. Building a covered RV & boat storage facility cost less than building a self-storage unit facility because it’s built with steel. There are no individual enclosed spaces needing walls, doors, lights, and ventilation. Steel is the least expensive and most durable building material available. It gives design flexibility and is hazard resistant. Baja Construction uses steel for the RV’s carport structure’s entire mainframe; columns, beams, and purlins. Our pre-fabricated pre-galvanized steel structures reduce construction time, saving our customers money! Maintenance is minimal with steel and it can be customized to any color or texture to take on the desired appearance. One significant, and lesser-known advantage to steel structures (often an afterthought) is the savings on insurance. Most insurance companies offer customers savings and rebates when steel structures are being built or have been built on the property. These structures are less likely to need structural repair; therefore, the lower insurance rate will be. Steel is sustainable and 100% recyclable! If you’re looking to attract investors, building with steel, is considered a sustainable construction build. Going “green” will help gain interest in the project. Adding solar modules opens up even more dialogue with financial institutions, investors, and city and town building permit departments. 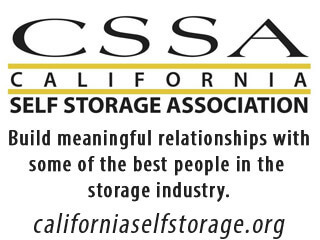 Customers of RV & boat storage are much different than self-storage customers. Big toys with big price tags need more than average incomes. These people are more likely to have disposable income. You most likely will never see an RV & Boat Covered Storage Business on TV auctioning off or for that matter battling over a left behind or forgotten RV or Boat! Your customer base has higher expectations. They are not likely going to skip town and leave their luxury motor coaches or cuddy cabin boat behind! The average “motor coach” price tag is $100,000 [according to the Recreation Vehicle Association], and an average starting cost for a motorboat with outboard motors and no cabin, starts at $20,000. If the tenant doesn’t pay, a lien can be placed on the recreational vehicle and be sold per the state’s requirements. Vehicles must go through a foreclosure or eviction if there is a lease on them. Abandoned vehicles can be towed off the property. Leaving the customer to deal with the towing company to reclaim their vehicle. Oakley Executive RV & Boat Storage Facility, Owner Bob Hayworth shares his success story, “In the Black in 18 Days!” His story is the benchmark to running not only a successful business but achieving an EnergyPlus Facility. The story covers how the word “solar” turned a not-so-supportive city council into one that wanted to be home to a first of its kind business! It addresses the need for recreational vehicle parking, an informative storyline and topic in itself. The RV & boat storage business’ primary income is obviously from renting RV and boat parking spaces. However, adding solar [Photovoltaic modules] creates a secondary income. When we say “adding” we mean implementing solar panels into the design of the carport structure. Using the solar panels as the actual rooftops of the carport/RV structure provides shade underneath, at the same time the panels are capturing sunlight, converting it into solar electricity. The advantages of building a covered solar RV & boat storage facility allows you to reduce your tax liability and increase your net operating income. It’s important to work with a solar panel installer such as Baja Construction. Our design engineers’ layout objectives are to gain maximum coverage for optimal electrical production from each solar panel installed. The electricity produced from the solar panels can be more than enough to pay the businesses electrical bill and then some. This depends on the number of RV ports that can be installed on the property and number of panels installed. Secondary income for the business is generated by the excess electricity the solar panels produce. The RV & boat storage owner can sell the excess electricity back to its designated utility supplier. In return, the utility company may issue monthly credits on your energy bill or send a cash refund. Your installer will be able to help you apply for additional solar benefits and incentives that your state promotes. There are many solar benefits and programs available. 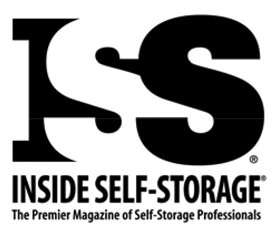 Seek out and join associations like Self-Storage Associations and read publications such as Inside Self Storage. These organizations have educational classes and host tradeshows in the industry. Solar is one of their main topics! Rebates: Money paid upfront by the local utility company to help you purchase your solar system. A rebate will help lower the capital amount you may have to borrow to finance your solar project. Feed-in tariffs [FIT] differ state-to-state: It’s a payment you might receive for any solar excess electricity gained from your solar systems. Some utility companies may be willing to purchase the entire output of electricity your system produces at an agreed price. Solar Renewable Energy Credit [SREC] differs state-to-state: Much like a FIT – only the approach is different. Some states will credit you for installing a solar system depending on its production [kWH] output. The normal credit is an SREC credit for every 1000 kWh your solar system produces. Depending on the price of the SREC you can sell your SREC credits for cash, that’s in addition to the amount you are already saving. SREC are traded and their price is variable. Solar covered RV & boat storage is a win, win investment! Owners of recreational vehicles are more likely to be environmentally friendly and advocates of renewable/alternative energy. These people love the outdoors! Hence, they will be intrigued and attracted by the solar operation and its production. You’ll come to find, most people today are already in-the-know on solar and want to be a part of it one way or another. Call (800) 366-9600 learn more!